But one British import stands head and shoulders above the rest at Juventus and he shares Ramsey's Welsh heritage. That is the legendary 'Gigante Buono' - Gentle Giant - John Charles. His debut season with Juventus saw a return of 28 Serie A goals, bringing with it the honour of the Capocannoniere top scorer award. His performances helped deliver Juve's first scudetto since 1952 having finished ninth the season before, and he became part of an enduring Old Lady lineup alongside fellow import Omar Sivori and the long serving Giampiero Boniperti. His impact in Turin cannot be understated. In 'Calcio: A History of Italian Football', author John Foot writes that 'Charles - with Sivori - transformed the club'. 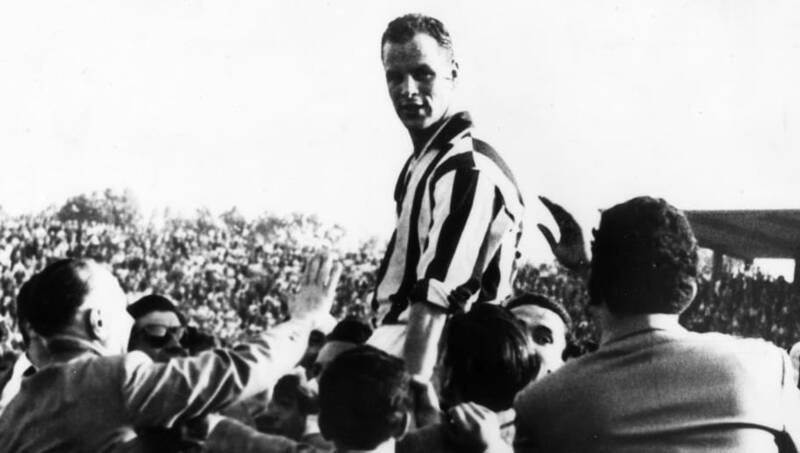 Juve turned their 1957/58 scudetto into a period of dominance, adding further titles in 1959/60 and 1960/61. In a league known for defensive football, Juventus scored for fun. Charles, who finished third in the 1959 Ballon d'Or standings behind Alfredo di Stefano and Raymond Kopa, and Sivori scored 50 Serie A goals between them in 1959/60, while Juve scored 92 in 34 games as a team. According to Foot, 'there is no real competition for the title of greatest British player in the Italian league', using words such as 'legend', 'superstar', 'hero' and 'role model' to describe Charles, a player who was never cautioned or sent off in a football career that spanned 25 years in total. On the international stage, Charles went with Wales to the 1958 World Cup, the nation's one and only participation. Three draws in a tough group containing 1954 finalists Hungary, Mexico and hosts Sweden was followed by a special playoff win over Hungary to qualify for the quarter finals where Wales would meet Brazil. Charles, who was injured in the second Hungary game, couldn't play and Brazil won through a single Pele goal. It remains a huge 'what if'. Charles' Juventus career came to an end in 1962 as the once dominant side faded. He returned to former team Leeds in a £53,000 club record deal, although it appears that his time in Italy left a permanent mark as he apparently found it difficult to re-adapt to life back in Britain and would go on to join Roma for £70,000 only a few months later. Charles received a CBE in 2001 and was inducted into the English Football Hall of Fame in 2002, while the west stand at Leeds' Elland Road stadium is named in his honour. His memory also remains revered in Turin - he was warmly welcomed at a game at the old Stadio delle Alpi in 2001 and his 2004 passing was marked with a minute's silence at Juve's game the following day that broke out into applause instead. As recently as 2017 his four sons were invited by Juventus to attend the Champions League final in Cardiff. Aaron Ramsey has huge Welsh boots to fill at Juventus next season, but if he can make just half the impact that John Charles did 60 years ago he'll be doing more than alright.